I love to read just about anything, as long as it's fiction. I read for me - that means I read what I want, when I want. My reviews tend to mostly be based on how I'm able to personally connect with the story/characters. 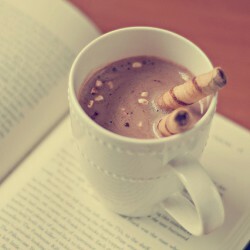 They are not intended to influence someone to read, or not read, a particular book. I always encourage people to take a chance and make up your own mind. Oh, and I love chocolate. 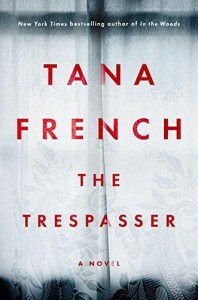 After the letdown of book #5, The Secret Place, in the Dublin Murder Squad series, I wasn't sure if I wanted to continue on with book #6, The Trespasser. I'd been struggling with the slow pace of all the books in the series, and the main character in The Trespasser was a character I didn't care for in the previous book. But I decided to push forward since at the time of this review book #6 was the last. I'm glad I did, as this book was so much better than the last. While I was hesitant to be in the PoV of Detective Conway, I was ultimately glad for it. Conway didn't come across as a likable character in the previous book, and if I'm being honest she still isn't, but I do have a better understanding of why she is so negative. As the only female detective, Conway has to take a lot of crap from her fellow detectives. She feels trapped - if she stands up for herself she is treated as an outcast, but if she accepts the mistreatment then she's condoning the behavior. I mostly liked the way Conway was able to see the situation from a different perspective - I say mostly because I do wish she had had a bit more self-awareness in the moments when she would act in a way that made her complaints come across as a double-standard (like it's OK for her to poke a sexual joke at a male colleague, but not for them to poke one at her). I liked the way that Conway and Moran worked together. I think in many ways Moran made Conway more human and therefore forgivable for some of her actions. I'm glad the author didn't go the supernatural route in this book the way she did in the previous. If that had been in there, it would have been just the nail I needed to close up on this series for good. I thought the mystery was well played and I liked the way it all tied in together and the ultimate resolution. I'm not sure if there will be future books in this series, but if so I'm good to give the next one a go.